Layover Time in La Aurora International Airport. Why being frustrated and exhausted in the Guatemala City Airport just waiting for your flight? With us you can make the best out of your layover time! Check these amazing offers for tours; you can get to know the land of the Eternal Spring just within a couple of hours. Miraflores Museum opened its doors in October 2002, after signing a specific agreement with the Ministry of Culture and Sports of Guatemala. Most pieces on display were discovered during archeological excavations carried out by the Miraflores Project between 1994-1996. The theme of the museum is Mayan archeology with emphasis on the archeological site of Kaminal Juyu and the cities which maintained trade and political relations. The museum tries to give the public information about the former occupants of the Valley of Guatemala, where centuries later the Capital of the Republic was founded. The collections of the museum constitute of Pre-Hispanic objects from different regions of Guatemala, textiles and costumes of Guatemala’s indigenous villages from the highlands and monthly samples of contemporary art. The Popol Vuh Museum offers visitors a unique journey through the history of Guatemala, illustrated by one of the best collections of pre-Columbian and colonial art in the country. The museum is a private research institution, nonprofit and part of the Universidad Francisco Marroquin. Its objectives include the conservation, research and dissemination of cultural and archaeological heritage of Guatemala. The museum houses one of the largest collections of Mayan art in the world. It highlights numerous examples of painted pottery from the classical period in the Petén, Verapaz and elsewhere, an extraordinary collection of funeral urns from northwestern Guatemala, important examples of pre-classical and classical sculptures of Kaminal Juyu and the south coast, a sample of censers taken from the waters of Lake Amatitlan as well as an excellent example of ceramic whistles. The colonial rooms offers a large sample of silverware, paintings and colonial imagery of Guatemala. The museum also has an important collection of costumes and masks of the twentieth century, used in traditional dances, which are currently not on display. The Popol Vuh Museum collection includes many items related to the myths of the Popol Vuh. A great opportunity to visit a unique piece of masonry in Latin America, built over 100 years ago by engineer Francisco Vela. This masonry covers only the political and geological division of the Republic of Guatemala during the time in which it was built. To get an idea of ​​the size of this great work, its construction needed 85,000 bricks excluding lump used in the foundation, 280 barrels of cement to 4 quintals each, and a lot of stones brought from the south coast of Guatemala. The Central American Brewery life spans three centuries. The start of operation in 1886 marks the beginning of a great adventure in both the industrial and economic development of Guatemala City. After 125 years, the manufacturing process is similar, but completely different in matters of volume and equipment. The longevity and success of this company has remained as one of the pillars of economic activity in Guatemala. The founders, Mario and Rafael Castillo Cordova, always privileged the use of the most innovative technological resources, which is why they turned their sight on Germany, known as manufacturer of the best equipment for the brewery industry. Nowadays the backlog in equipment used in the brewing industry is considerable. In an effort to provide an overview of its history, the brewery tour was created, where you can see the evolution of various machinery and equipment used in the manufacture and packaging of beer. Similarly you will get to see the raw materials and the process of brewing. During the tour you can observe the operation of one of the most modern bottling rooms in the region. The interest of the brewer tour is to share the pride and tradition of making the best beers in the country, our way of working in real time, and the vanguard of our facilities and industrial processes. The development of each of our brands is carried out with specially developed recipes and the finest ingredients, processed with the highest standards and quality controls. We will take you to the most exclusive shopping malls of the city. Our first stop will be the Oakland Mall, located in one of the most exclusive areas for business and entertainment in the city. In this mall you will be able to visit fashion boutiques, sports stores, jewelry stores, book stores and a lot more on its three modern floors. You can also find banks in case you want to make a transaction, you will find one of the best movie theaters of Guatemala inside the mall, where if you have the time, you will be able to see the top Hollywood blockbusters, and of course don’t forget the food court with a huge variety of restaurants. After having visited the mall, we will go to the handicraft shop located close to the airport. Here you will be able to buy a colorful souvenir, representing Guatemala’s richness in culture and nature. 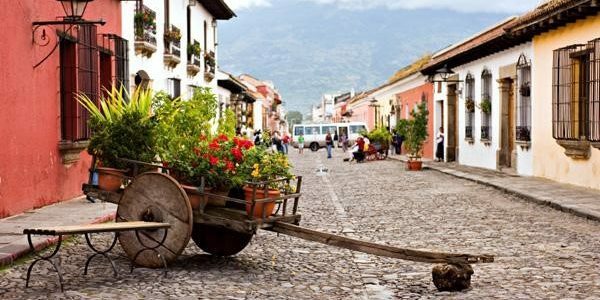 Located one hour away from Guatemala City is Antigua Guatemala, the third capital of Guatemala and a city considered world heritage by UNESCO. You will discover this wonderful city accompanied by a local guide and learn more about the Guatemalan history during colonial times. While explaining the history of the city, we will visit the Cathedral and the fountain on the main square. Then we will visit the City hall and climb the second floor for a nice view of all the main plazas and the Agua volcano at the background. We continue to the cloister of Capuchinas, an exquisite example of colonial architecture. We will visit the San Francisco el Grande Church, one of best-preserved churches in Antigua and the resting place of the first saint in Central-America, Hermano Pedro. Then the tour will take us to the beautiful baroque church of Nuestra Señora de la Merced before ending our journey in a jade factory, where you can see how Mayans worked their jewelry in the past and how it is done nowadays. Located really close to Antigua Guatemala you will find the Finca Filadelfia Coffee Plantation. On this tour we will pay a visit to this beautiful plantation and learn everything about the production of coffee, starting at the plantation and ending with the cup of “liquid luck”. You will learn about the history, the cultivation process and the processing of coffee at this coffee farm, which counts with over 130 years of tradition dating back to 1870. During our walk we will visit the nursery and planting of coffee, the wet and dry patios, and the dry mill and sorting area. Then we will pay a visit to the roasting and packaging section, finishing our tour with the cupping lab. We end our coffee experience sipping a cup of the world’s best coffee produced in Finca Filadelfia, the Genuine Antigua, in the preparation of your choosing. If you are looking for an activity to relief you from the stress of being long hours at the airport, this is the tour you should take! Located in Finca Filadelfia, there are three amazingly fun zip lines that you can take: The Canyon Express, The Forest Trail and The Forest Express, all of them having a different duration and intensity. If you have the chance to spend a couple of nights in Guatemala to do this tour, we strongly recommend you to visit this majestic archeological site. The tour will take you to the heart of the Mayan World and reveal to you all its beauty and ancient secrets. Besides the one day tour we can help you with booking accommodation and the shuttles between the airport and the hotel. And if you have MORE time! Ask for a personalized itinerary of 1 day, with Chichicastenango – Quetzaltenango – Montericco or other! Remember that we can also provide you with the best executive private transportation to drive you to your meetings in Guatemala City or any other place in the country.